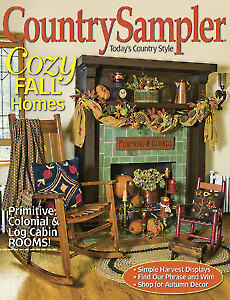 Find a cornucopia of creative ideas and decor in this autumn issue of Country Sampler. 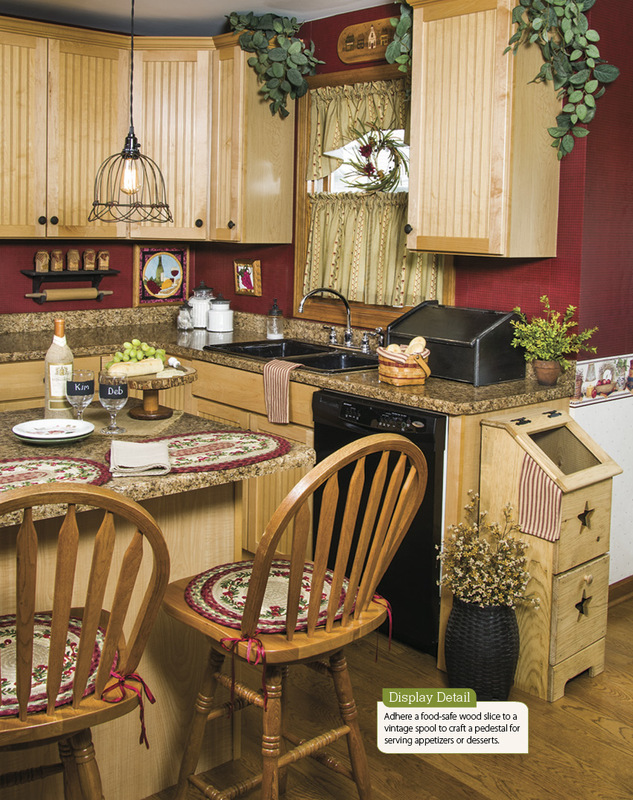 Tour four cozy homes, including a prim-filled rental, a custom log-and-stone cabin, a 20th-century Colonial and a nostalgic lake house. 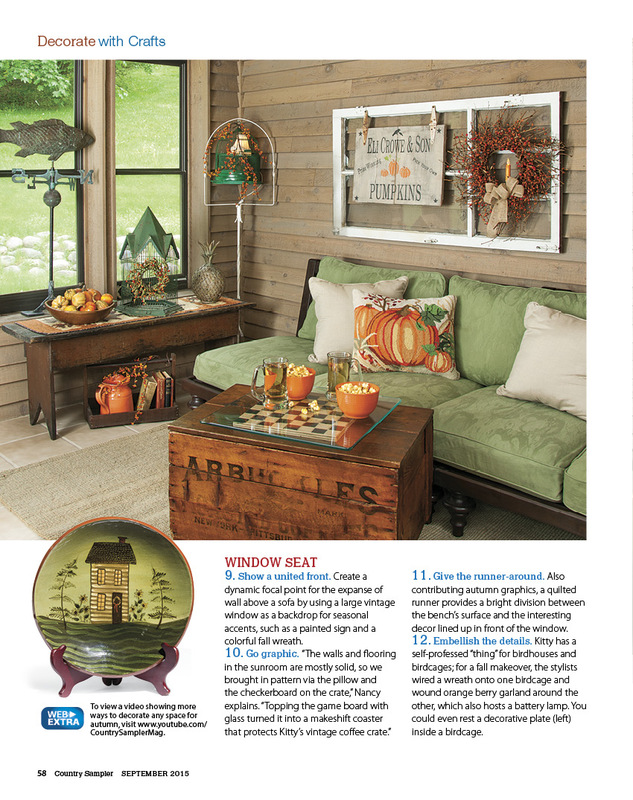 Get step-by-step instructions for making fun fall accents. 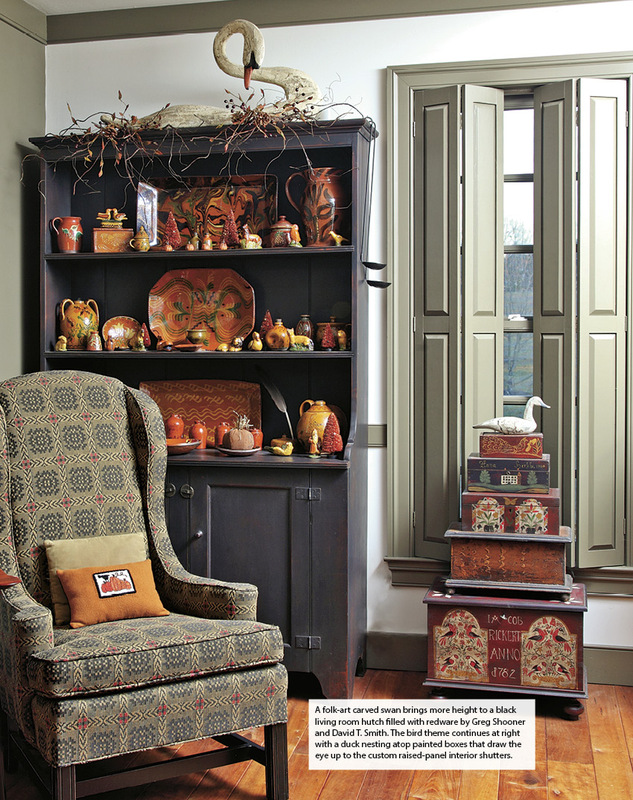 Learn the history and value of vintage Halloween finds. 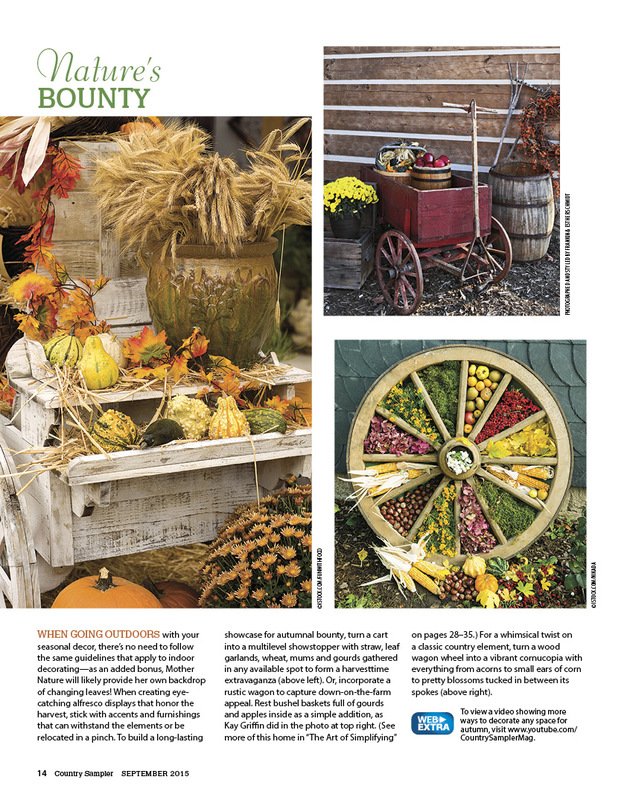 See new ways to decorate with branches, gourds, Indian corn and more.